Parts immersed into the fluidised bath are cleaned by the high temperature (up to 600°C) environment within a bath media of fluidized aluminum oxide that instantly starts to degrade plastic to carbon, which then leaves the bath as CO2. 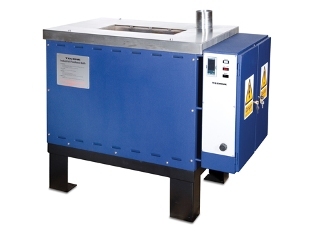 This instant heating and minimised quenching gives shorter cleaning times than with conventional ovens, and with the even and consistent heat of the bath, results in greatly reduced metal fatigue and tool damage. Techne offer 4 models in the Industrial Fluidised Bath range. The baths can be fluidised with either compressed house air or an inert gas such as nitrogen or argon. It should be noted that fluidised baths and the action created in the aluminum oxide is not abrasive to items immersed for normal cleaning or heat treatment times. Typical cleaning times range from 30 minutes to 2 hours depending on bath loading, temperature and amount of material to be cleaned. 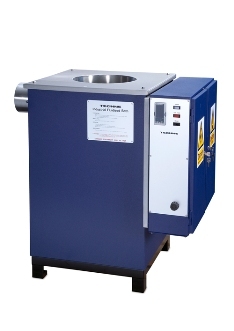 The excellent thermal performance of Techne Industrial Fluidised Baths make them a good choice for basic heat treatment, test and calibration as well as reactive analysis. Some of these applications include tempering, annealing, Nitriding, distillation, curing, exothermic and endothermic reactions, and thermal analysis of devices, components and materials. Replacement Sand (Alundum - Brown Aluminium Oxide) - see "IFB Accessories"
To replace sand lost through normal operation and removal of items from the bath. Accept no other substitute as performance and functionality cannot be guaranteed with third party suppliers. - IFB-51 and IFB-52 have flowmeter for manual and repeatable airflow control. 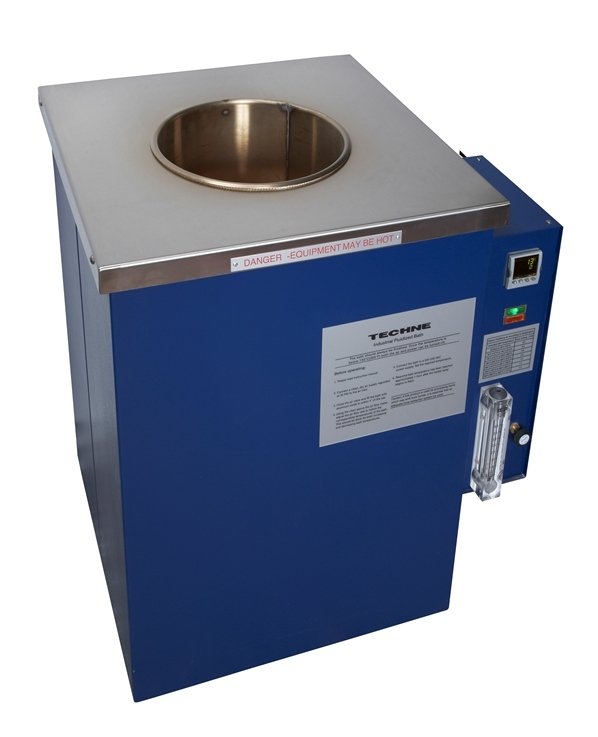 - Techne supply extraction fans and cyclones to separate fumes from alundum carried in the exhaust stream.